Looking for a good acoustic guitar under $1000? Well, you are in luck because today we are going to be reviewing some of the best acoustic guitars which you can get within that price range. It is not tough finding an acoustic guitar under $1000 because the demand is high and competition is tough among manufacturers, but how do you know as a buyer which model to pick from all the hundreds of models being advertised? To make things easy and less time consuming for you, we took it upon us to save you the trouble of going through an endless search by narrowing it down to the TOP FOUR ACOUSTIC GUITARS UNDER $1000. Our first item on the list is the Breedlove Solo. 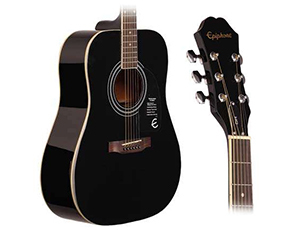 It is a concert acoustic-electric guitar with an elegant design that is perfect for travelling with. With a scale length of 24.9 inches, the Solo is comfortable to play yet extremely travel-friendly. The rosewood fret board consists of 20 frets while the neck is made of mahogany. If you prefer a warm sound with balanced highs and lows, then the perfect combination of rosewood and solid cedar will guarantee that. As the Solo can also be plugged in and played, you can get a much louder and sharper sound when required, although it will not produce anything as powerful as a dreadnought. There is an onboard tuner which changes color when the guitar is tuned right so you can quickly and effectively get the guitar tuned for all kinds of music. The pin-less Rosewood Bridge also helps with quick and easy changing of strings. We noticed a unique feature in the design of the guitar in shape of an extra hole. This second sound hole is placed in the side of the guitar and is there to allow the player to hear the sound the way it is been presented. So if you are playing to a crowd you can hear exactly what is being thrown at them with the side monitor sound-hole. To make sure that this guitar was in fact as good as it appeared to be, we also checked out what other customers thought of it and we find out that the Solo wasn’t just a favorite amongst hobbyists but professional guitarists also. With a beautiful design and amazing sound quality, this electric-acoustic guitar carries a lot of value and is definitely one of the finest guitar models under $1000. 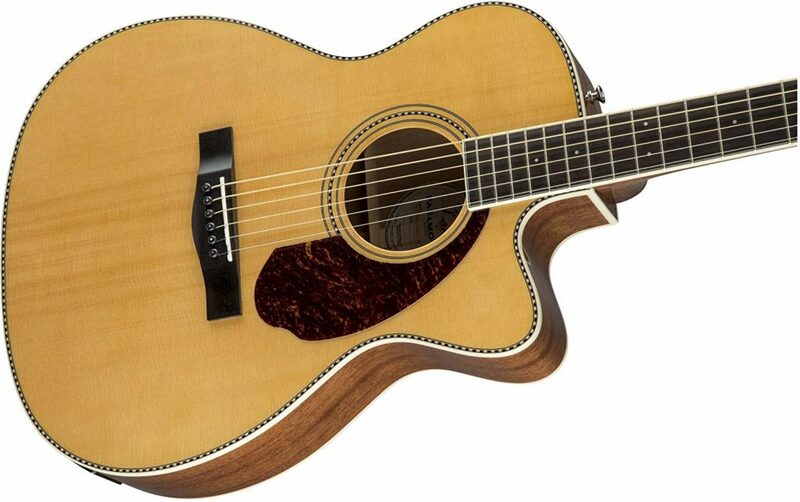 Martin guitars are known for their amazing playability and superb balance in tone. While most of their guitars carry a hefty price tag, the DRS2 is one of their most affordable models. Despite the fact that this fine acoustic-electric guitar can be yours for less than $1000, it still comes with the impressive quality that you would expect from the popular brand. Portraying sturdy sapele back sides and a Sitka spruce top, users can enjoy the best tone and sound projection while playing just about any kind of music. The spruce woods ensure that the guitar lasts through every day wear and tear and can handle frequent heavy duty playing. The DRS2 is a dreadnought guitar so the sound will be loud and bright naturally, but what is even more amazing is that you will not be restricted to just one style of playing. 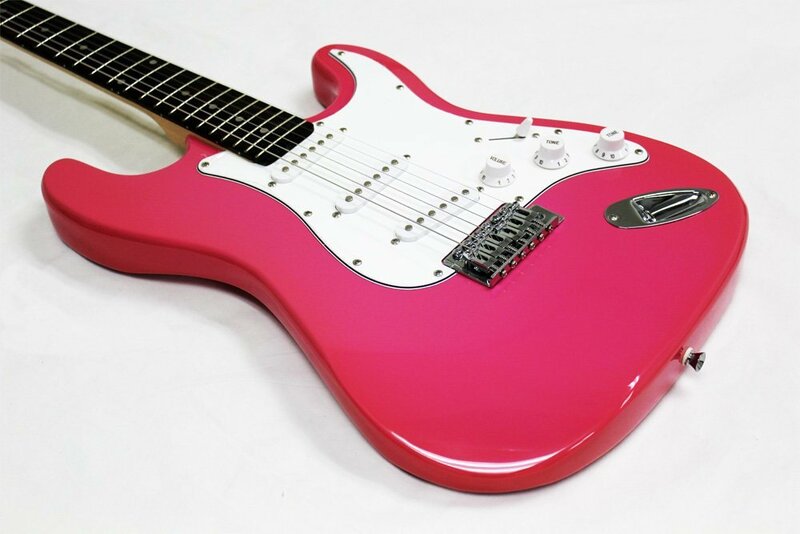 With such high versatility, this is one of the most value added guitars in the market today. Other features include a 14 fret design, a low oval shape hardwood neck, Black Richlite bridge and fingerboard, and “X-1” with A-frame bracing. With built-in electronics, you can also easily tune your guitar accurately and enjoy the best possible sound whether plugged in or not. Fender has released an amazing line of guitars in their Paramount series with 3 different body styles to suit all passionate guitarists out there. 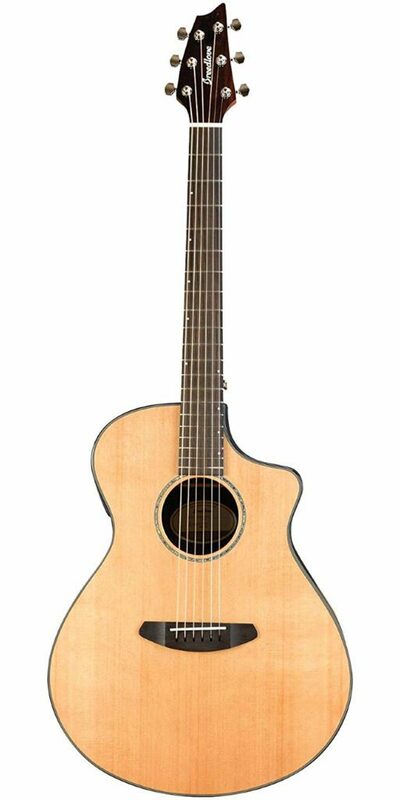 We picked out the Standard Triple O acoustic guitar for its fantastic sound quality and well constructed body. The standard models come with full solid mahogany back and sides, a rosewood bridge and a bone saddle and nut ensuring the highest level of durability and rich sound quality. The fingerboard is made of high grade rosewood while the Sitka spruce top completes the careful combination of woods in the making of this gorgeous guitar model. Overall the body of this guitar is small and compact, making it perfect to carry around. Solo artists as well as those performing in bands can play this guitar for great volume and sound projection. This kind of guitar body is mostly popular among folk artists but it is versatile enough for just about all kinds of music and musicians. The electronics on the PM-3 are also worth mentioning with vintage-style radio control knobs, 2-band EQ, built-in tuner, and master volume on the neatly designed preamp. 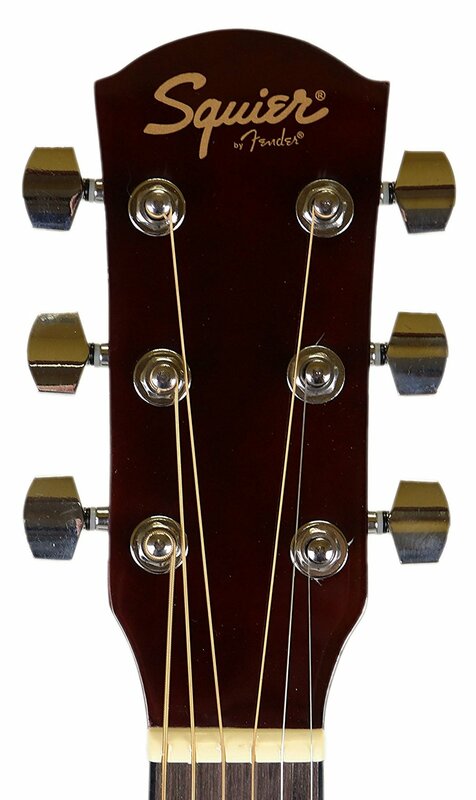 The guitar is fitted with Dura-Tone coated strings for easy strumming and players comfort. We recommend this guitar for those who wish to sing along while playing the instrument because the sound is not too over the top, giving the audience a treat to sweet sound and voice balance. If you love to write your songs and see yourself performing in front of the crowd, this could be your best companion for that purpose. The BR-160 dreadnought is an acoustic guitar featuring a vintage design and classic features, reflecting the historic era of WWII when guitar manufacturers had to find ways to create quality guitars despite the shortage of certain woods. This beautiful classic guitar is made from the best woods and is crafted to perfection by incorporating only the best materials and quality fittings. As it is one of the models from the Historic Series by Blueridge, the construction and style used to create this guitar has been tried, tested and approved for many years along the line of guitar production. To ensure that buyers get only the best performance and playability, the back and sides of the BR-160 is made of solid Indian rosewood, which increase the strength and sound quality of the guitar, while the Sitka spruce scalloped braces helps to create bright and clear tones. Guitarists can enjoy the smoothest playability and easy handling with the slim and sturdy mahogany neck and durable East Indian rosewood fingerboard. This design is also very convenient for beginners who are not comfortable with their fingers handling thicker neck designs. If you are wondering about the body style then it features a dreadnought style which is not your perfect travel buddy but is definitely one of the powerful sounding guitars, ideal for those playing in bands. We also noticed that this particular model has been sold out on many sites and shops, which say a lot about its popularity. If you are ready to spend around $1000 on a guitar then you should be getting a pretty good deal on the quality and other specs. To get the best value for your money make a note of the following things before you make your final selection. Remember that buying a guitar is an investment so take your time and carefully select an item which will serve its purpose well. Remember that you got to own everything about your guitar, starting from the music you play on it, to its design…so you need to pick something that will suit your personality and make you feel good every time you pick it up to play. As for the tone wood, it will come down to the kind of sound you want from your guitar because the wood used in the making of the guitar plays an important role in its sound quality. The most common types of wood are mahogany, koa, ebony, rose wood or solid spruce. Your guitar may also have mixed wood to create different tones with the neck usually made from rosewood for its rich sound or ebony or solid spruce for lighter tones. Guitar strings need frequent changing as they tend to break or lose their strength despite their quality. Some guitarists change the strings as soon as they buy a new guitar because the original strings may not be right for the kind of music they play. We recommend that you buy a pack of new strings along with your guitar and also practice on how to change the strings on your own. Depending on the kind of music you wish to play, you must also choose the correct kind of strings. Some beginners prefer to start off with nylon strings as they produce softer tones but we really do not see the need for softer tones even as a beginner. If you wish to play rock, metal, pop or even country music, your best bet will be steel strings with their loud sound quality. Nylon strings are more suited for classic music or any music where there is no need for the sound to be over powering. 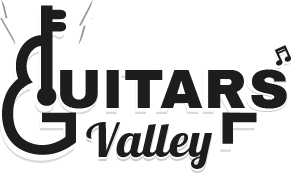 If you are a beginner who wants to play the guitar as a hobby then you can start off by choosing a simple kind of guitar that will help you learn and improve your skills without spending too much on the instrument. But if your target is to play in a band or take your skill to the next level and pursue playing the guitar professionally, then you must invest in a guitar that is made for your specific style of playing from the very beginning. There are guitars that are designed for concerts; some are designed for country music while some are ideal for the traveler who needs a portable instrument to travel with during gigs. For $1000 you can easily get a good solid built acoustic guitar where quality and performance should not be less in any way. However, be aware of rip offs that do not produce good sound or come with a weak construction. Make sure to check the quality of the wood, the size proportions and also how comfortable the guitar will be to play based on your personal taste. A good musical instrument is every musician’s prized possession. 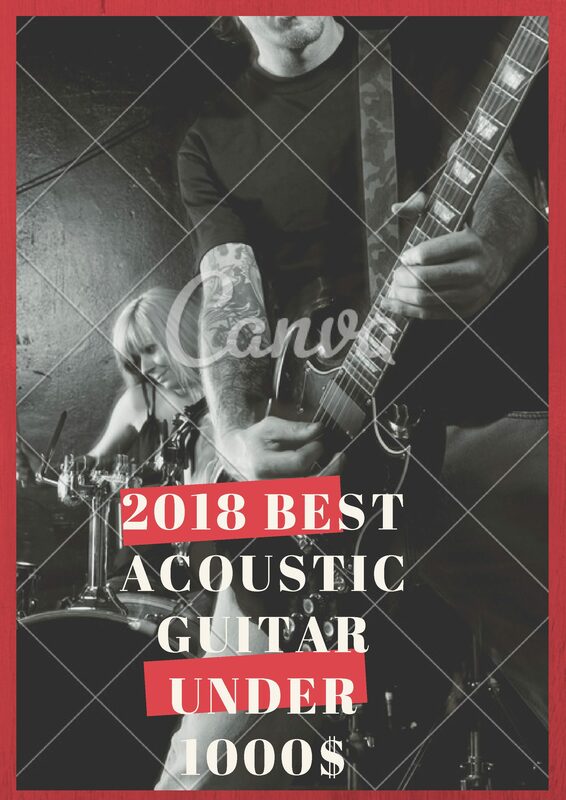 The acoustic guitars which we reviewed in this post are great for both beginners interested in playing the guitar as well as experienced guitarists who wish to upgrade to a better instrument. As the listed guitars are all within the $1000 range, you don’t have to worry about breaking the bank in order to own one of these fantastic acoustic guitar models. Just pick the one which you feel suits you best and enjoy playing your favorite music in style.